Lucy Torres writes in Philstar regularly, imparting her beauty secrets. Actually allow me to fantasize that I too have beauty secrets, just a few, to share. Yep, you're right. Wala na naman akong magawa. I'm bored. Again. My hair is the most abused part of my body. 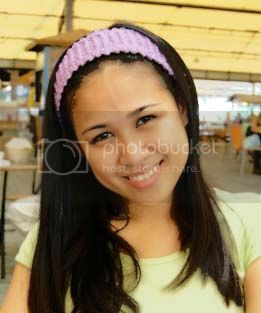 I had it curled at the ends last year December (the Marimar look). April of this year, I had it curled again and cut to shoulder-length (the poodle look). Then barely two months later, just last weekend, I had it relaxed (a process milder than rebond) and layered (that's my boring look). Sheesh if my hair could scream with all the torture, it probably would have wailed loudly. One would expect that most of my hair must have fallen off by now because of too much chemicals. But no. I still have my precious locks in place. My secret? (Hahahaha feeling kaayo. Kilatan baya ko...) Kaminomoto Hair Tonic. I discovered this product when I accompanied Steng to a LBC outlet. She was trying to smuggle a bottle for her father, which failed because LBC doesn't accept liquids. My usual curious self (in short, pakialamera =p) asked her what it was for. 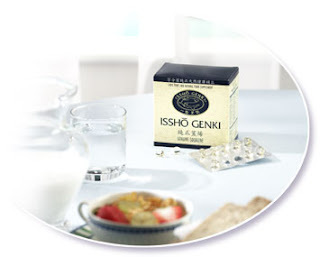 She told me that the tonic effectively promotes hair growth. Her father had tried using it on the bald patch of his head, it worked! I really have very fine hair, as fine as corn's hair. So heavy falling hair usually alarms me. That time I was experiencing such condition. Every morning I noticed a handful of strands on my pillow maybe because of having had my hair tortured. (Heavy falling hair also occurs when one is under stress). 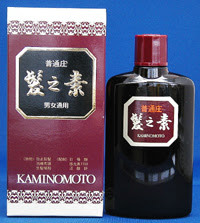 I brought a bottle of Kaminomoto at Mercury, Glorietta (600php+ for 100mL). Using cotton ball I started applying it on my scalp. True enough, it's effective. I notice less and less hair strands falling. There are newly-grown/baby hairs on my scalp. And I think my hair is getting healthier, shinier... naks! I have asthma. I used to have asthma attacks, everyday. During the wee hours of the morning, I used to wake up gasping and grabbing for my Ventolin Diskhaler for a fix of the medicine (oo, parang addict). When I moved here in Manila, I expected my asthma to get worse because it's polluted here. I didn't expect it however to be cured. I can't even remember when I had my last attack. It's because I now take two capsules of Squalene everyday. Sa Cebu kasi one capsule a day lang ako since I couldn't afford pa hehehe. 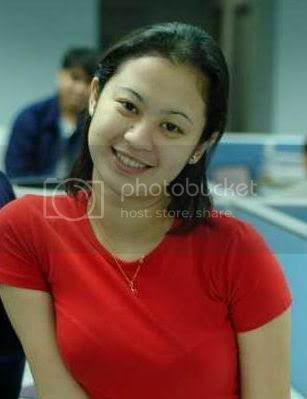 I used VMV face powder way back in Cebu. But I had to look for an alternative because it's price soared from 400+ to a whopping 1200+! Even if it now comes with a white-leather sosyal case, I still won't set aside more than 1k for a powder, no way noh. It's not Shu Uemera that it's understandable to pay that much for it. I found a better alternative at the Face Shop (a Korea-based beauty store that have outlets in Glorietta, MOA, etc). 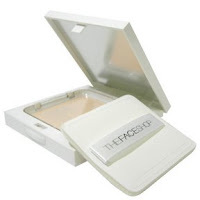 Ria and I have fallen in love with this beauty find because it provides very smooth, natural and ultra-light coverage. Though I have very oily T-zone, to my delight this powder lasts longer than the products I used before - so it's tipid since I don't have to reapply it frequently. It also protects the skin from harmful UV rays because of it contains SPF10 PA+. By the way, it costs 695php. And you might also want to check other Face Shop products because they are all natural. They don't only showcase wide array of beauty ka-ek-ekan for women but they also have a line of skincare products for men. This little yellow tube works wonders on my lips. So far, it is the only cure to my always chapped lips WITHOUT the greasy feeling. Many lip products on the market are made with petroleum, but petroleum dries your lips so you end up needing more. Burt’s Bees products are made with good stuff like beeswax, honey and essential oils. The Burt's Bees Beeswax lip balm is packed with protective ingredients such as ultra emollient lanolin and almond oil to help soothe cracked or chapped lips. It also leaves a peppermint tingle on your lips. If you want to use a lip balm with tint, so you won't have to use lipstick, there's also Burt's Bees lip shimmer that comes in numerous shades. It's made from natural ingredients like vitamin E, coconut and sunflower oils to moisturize your lips. I hope you'll also share your secrets/tips with me. I'll think of other products to add to this list. hala! i need that kanimanomotomoto hair tonic! ubani ko palit. and add to the list katong powder sa Face Shop! the best! oi gipalitan tani ko nimo! tsk! tsk! Ria, dili kanimanomotomoto .. KAMINOMOTO, nyehehehe :) Yep ubanan tika. Okay jud sya. nice suggestion ning KAMINOMOTO, I hope i can find it here. Kaminomoto is a Japanese-product so for sure you can find it there. You may inquire in a Matsumoto Kiyoshi store (don't know kung tama ba remember nako ani nga name, hehe). Nice pud kaayo ang Dove facial wash na made in Japan. Very creamy, won't dry up your skin. mo comment ko kay giduka ko! salamat sa powder sis, murag nice siya dili mag flaky ang akong skin. dove akong facial wash ron choks ra man. yeah am using dove in lieu of ponds. hi! 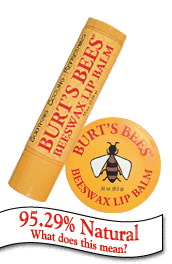 just wana ask where can i buy burt's bees here in cebu.. really want to have it.. thanks in advance..